Carol (Kerasoula) N. Chickris (nee: Coin), 86, of Rock Island, Illinois, recently living in Wilmington, Delaware, peacefully passed away Sunday, Jan. 15, 2017 at the Compassionate Care Hospice at St. Francis Hospital, Wilmington. Funeral services will be 10 am Friday at St. George Greek Orthodox Church, Rock Island. Burial is at Memorial Park Cemetery, Rock Island. Visitation is 5 to 8 pm Thursday at the Wheelan-Pressly Funeral Home and Crematory, 3030 7th Ave., Rock Island, where a Trisagion Service will be chanted at 7 pm. In lieu of flowers, memorial contributions may be kindly made to the Youth Ministries of St. George Greek Orthodox Church, 2930 31st Ave., Rock Island, IL 61201 or to St. George Greek Orthodox Church, 30 E. Forge Rd., Media, PA 19063. Carol Coin was born March 17, 1930 in Moline, a daughter of Nicholas and Nicoletta Voukidis Coin. She married Chris H. Chickris on Nov. 28, 1965 in Moline. 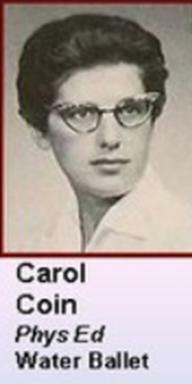 Carol graduated from Rock Island High School and Augustana College. She received a Master's degree from the University of Illinois. She taught and was a counselor in the Moline School District. Carol also coached girls tennis and was instrumental in initiating a synchronized swimming program at Moline High School. 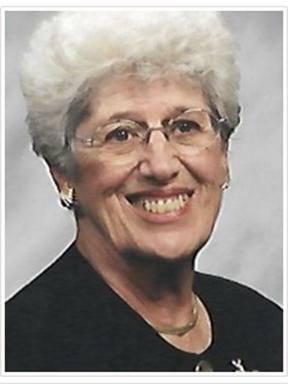 She was a lifelong member of St. George Greek Orthodox Church, Rock Island, where she was the director of the Sunday School for over 20 years, coached the GOYA girls basketball team, and served on the Parish Council. In demonstrating her philanthropic attributes, Carol was a member of the St. George Philoptochos Society and of the Daughters of Penelope. Carol also served the community by volunteering with several organizations. She loved being with family, especially being the Yiayia to her granddaughters. Carol also enjoyed reading, listening to music, travelling, golf, and doing yard work. Carol’s life is best exemplified by her commitment to her faith, family, and friends. Survivors include her daughter and son-in-law, Colette A. and Rev. Fr. Anastasios Bourantas, Wilmington; granddaughters, Corina, Christina, and Gabriella Carol Bourantas all of Wilmington; and nieces and nephews. She was preceded in death by her husband, Chris H., parents and brothers, Steve and Gus Coin. She was my first tennis coach. I loved her laugh. She was tough and yet caring. And very fair. I remember when a few of the tennis team became cliquey that didn't last long. Sounds like she continued to impact lives. Well done Miss Coin. I wasn't very athletic in high school, but did enjoy gym when Miss Coin was the teacher. I particulary remember Miss Coin teaching and leading a group of us girls in a modern dance to the song Camptown Races. Whenever I hear the song, I smile remembering the moves and steps we did in the gyn---it seemed perfectly correographed. Camptown Races always makes me happy.